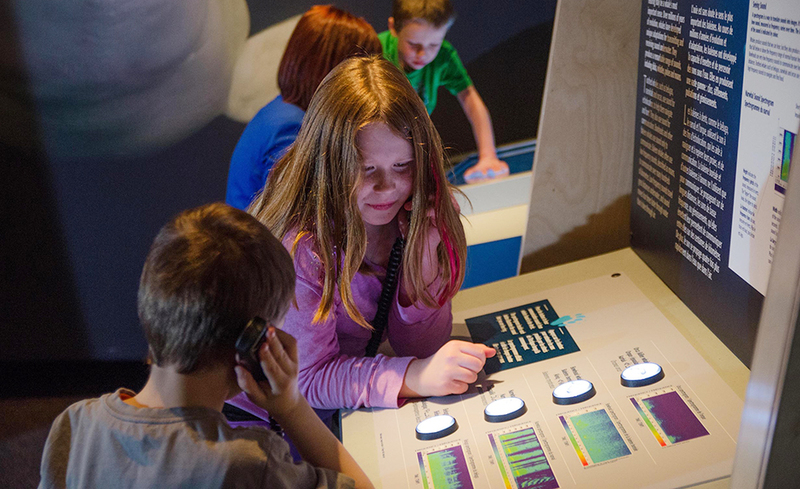 Arctic Voices is a 6,000sf international traveling exhibition that explores the impacts of climate change on people, wildlife, and environments in Earth’s northernmost regions. 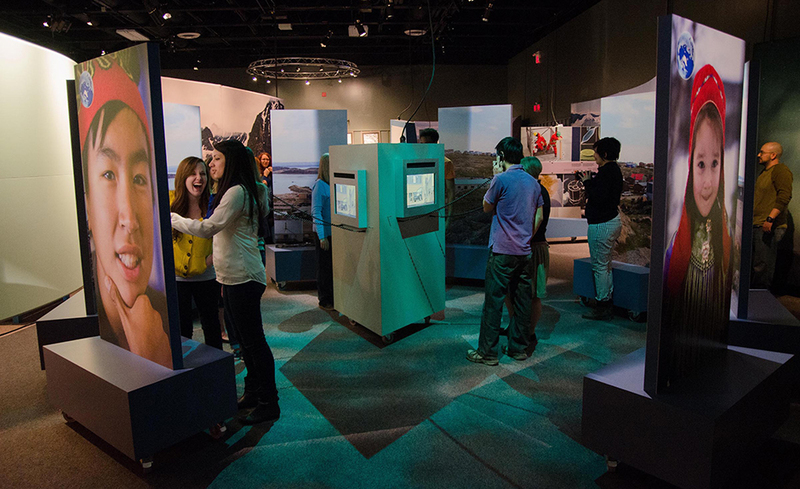 It approaches the topic in a holistic fashion, often through the eyes and voices of those whose lives are being most profoundly affected: the Arctic’s indigenous peoples and the scientists and researchers who have devoted their lives to studying and preserving this fascinating and fragile environment. 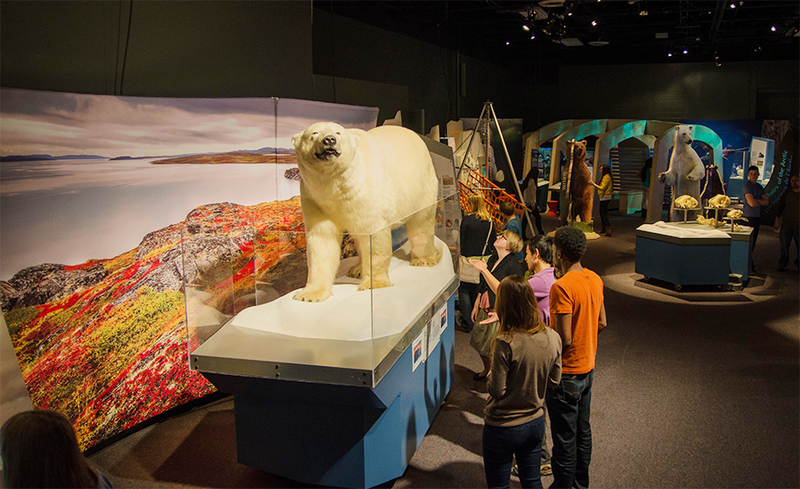 Natural history and cultural heritage stories are intermingled throughout, and guests quickly recognize that traditional knowledge is as important to understanding the Arctic as western scientific methodologies.The exhibition includes artifact and object displays, immersive environments, audiovisual programs, and mechanical and multimedia interactives. 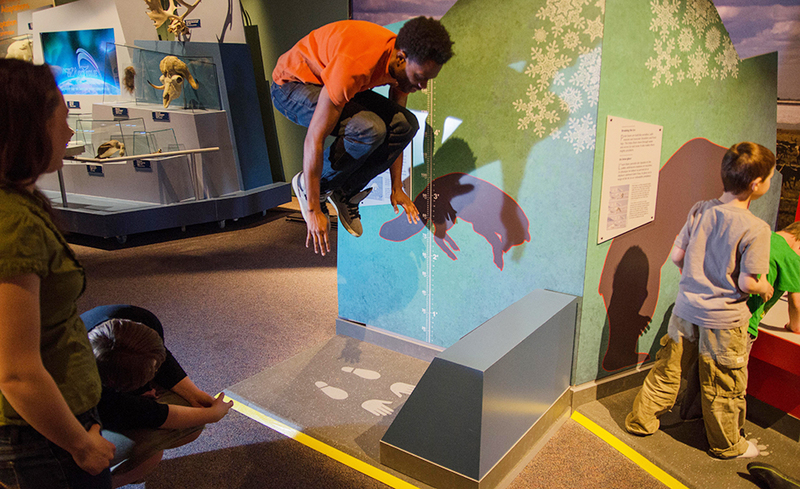 Among the feature experiences are the Arctic Animal Challenge, in which guests try to emulate the behaviors of polar bears and Arctic foxes and hares; crawl-in simulations of a polar bear’s den and life beneath the ice; a theatre designed in the stylized form of a whale skeleton; and a larger than life-sized gathering of circumpolar peoples, all with powerful stories to tell.